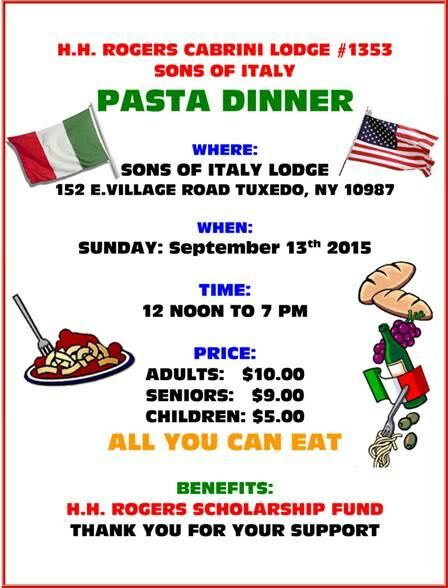 The Sons of Italy is hosting a Pasta Dinner benefitting the organization's scholarship fund on Sunday. Come and get some great pasta the way it should be - Italian style! At the H.H. Rogers Cabrini Lodge #1353 right here in Tuxedo.